I recently attended a for the Arizona Weddings Platinum Edition Publishing Party where we enjoyed delectable food, ice cold drinks (literally ice cold because there were on ice sculptures), and amazing entertainment by the Groove Merchants. They also had planned fun things for us, their guests, to experience while we were there such as a professional Cigar Roller, an Oxygen Bar, and a Photo Booth. I tell ya...there was a line all night for that Photo Booth! It was so fun and it was evident that the guests really loved it and it was a great memorable gift to take home from the evening. 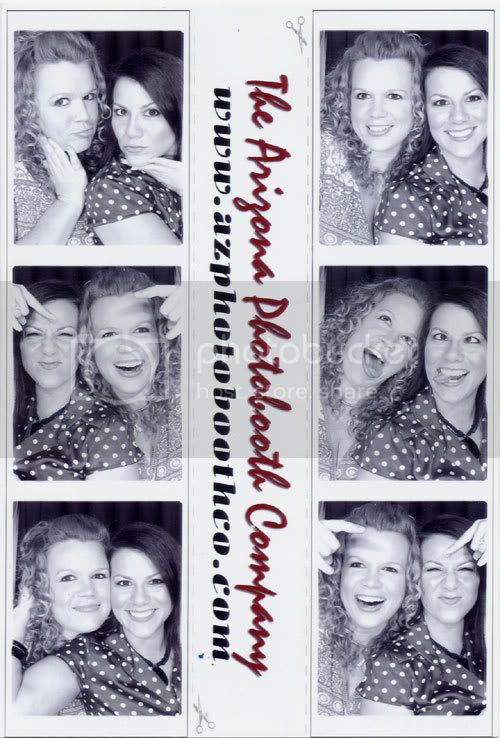 Having a photo booth at your celebration could be that item that your guests can remember forever. If interested in learning more contact my favorite photo booth queen Elaine at Arizona Photo Booth. PS. Please excuse the goofy pictures we took. Enjoy!